Having a wellness plan in place can help boost employee performance and productivity -- which is why Co-founder of OnSite Wellness joined the Weekend Morning News to share even more benefits of corporate wellness. When you're running a business, keeping your employees engaged can boost performance and productivity -- and having a wellness plan in place can help. Amy Ritsema is the co-founder of OnSite Wellness in Grand Rapids. OnSite Wellness has unveiled specific wellness programs targeted for small businesses. Ritsema wrote an article in the Grand Rapids Business Journal, where she said employee wellness programs don’t need to be complicated. Planning active events, initiating friendly competition, offering a healthy potluck, outdoor meetings, or stretch breaks as a group are simple and effective ways to get employees focused on health and give them the motivation to achieve their goals. A recent article by the Wellness Council of America stated, “Wellness programs can offer premium discounts or rebates on health insurance coverage, or modify cost-sharing amounts such as co-payments or deductibles, in exchange for ‘voluntary’ participation in the wellness program.” In other words, wellness programs can provide rewards to participants, such as lower insurance rates. In a small business, all employees need to be at 100 percent as often as possible. Employees that move more, take breaks and eat healthier are more focused and have higher energy levels. Numerous reports show that companies with wellness plans have reduced short-term sick leave and an increase in productivity and attendance, which allows for an all-hands-on-deck approach. Professionals are looking for employers that focus on the health of their employees. A wellness plan can push your business one step closer to becoming an Employer of Choice. Being an EOC means candidates are eager to work for your small business, people look up to your employees, you receive unsolicited resumes and your most talented employees stay with your business throughout their careers. While a wellness plan is only a small piece of positioning yourself as an EOC, it can definitely contribute to your overall appeal. While our grandparents would scoff at the notion that where you work should make you happy, this generation of professionals wants much more than just a paycheck; they want to be in an environment where they are fulfilled and well-rounded and where they feel valued and appreciated. And, what better way to show your employees that you value them than to focus on their overall well-being? You can read the entire article on the Grand Rapids Business Journal website. 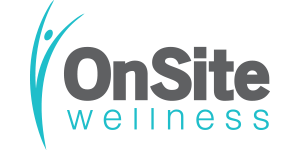 You can also learn more about OnSite Wellness at their website.